Taylor Swift has been dethroned from a major YouTube record by South Korean boyband, BTS. Not only did K-pop group BTS beat Taylor Swift's record for most-viewed YouTube video in 24-hours, but they did so by a huge margin. 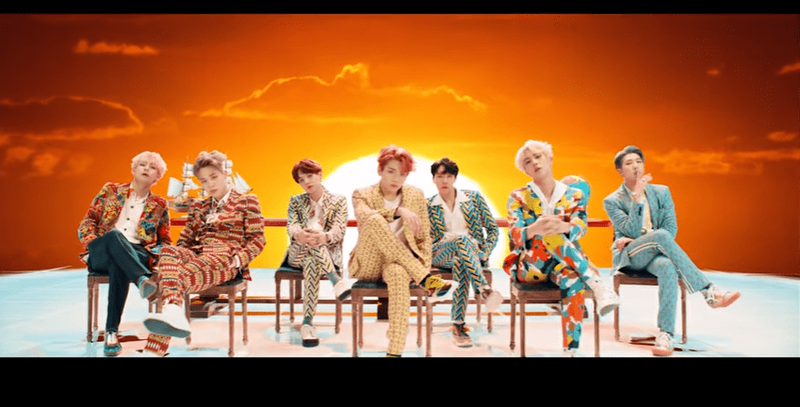 The South Korean group's new video, 'Idol', was watched over 56-million times on day one, beating Taylor's previous record of 43-million for 'Look What You Made Me Do' - which held the title since August 2017. 'Idol' is the lead single off the seven-member boyband's new album, 'Love Yourself: Answer', which was released on Friday - the same day their music video dropped. The video is currently sitting on more than 73-million views on YouTube. BTS's video for their hit single, 'Fake Love', was also a record breaker. 'Fake Love' became the fastest K-pop video to reach 100-million views - in eight days, according to Forbes magazine. At the rate 'Idol' is blowing up, it is likely to break that record as well. Rap superstar Nicki Minaj features on an alternative version of the song. The track is not available on the physical BTS album, but was released digitally on Friday.